Technical analyst Jack Chan charts the latest moves in the multiyear bear market in oil and gas. 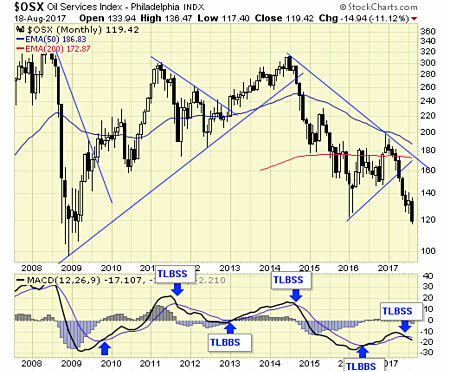 The energy sector is on a major sell signal. The trend is down; the cycle is down. 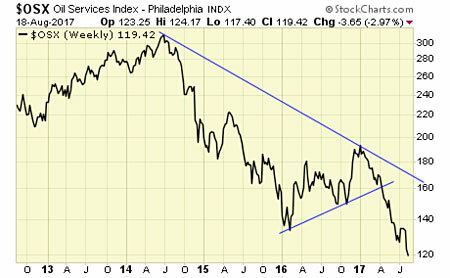 The multiyear bear market continues. We closed out our long-term positions early this year and that will remain the case until conditions improve.